I have a slight confession to make. Over the last week, my at home dinners have consisted of cheese on toast, cheese and beans on toast, a bowl of Weetabix and a 2 minute bag of gnocchi with 3 minute sauce. I just find that once I get in from work it ends up being after 9pm before I’m eating and by then I just don’t want to spend time preparing a full blown home cooked dinner. I clearly love food, but in terms of cooking, I’ll admit, I’m lazy. 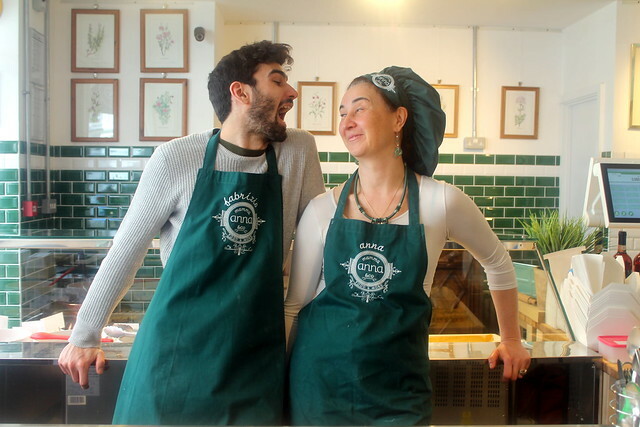 Mamma Anna & Co is a small family run Italian deli or as they describe it; a food lab, in the heart of West Kensington. 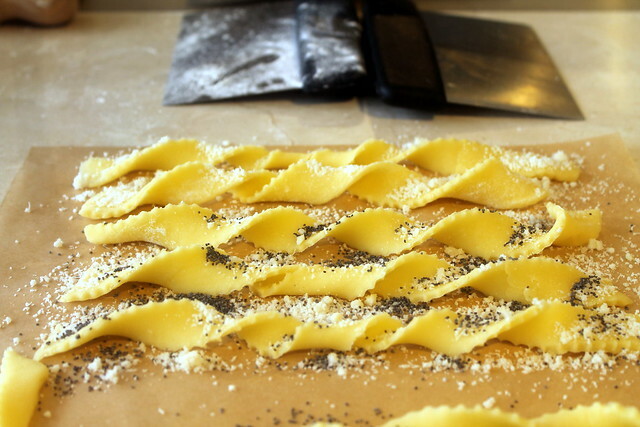 Walking in it felt very much like I’d walked into one of the delis in back when I visited Italy; fresh pasta on display, tartlets and meatballs ready to be eaten up. 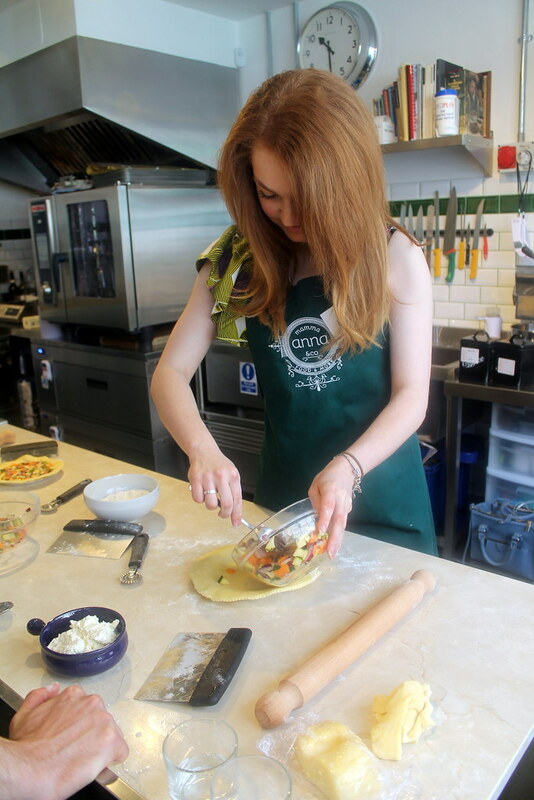 This is no imitation, London take on Italian cooking; I soon learned this was the real deal. 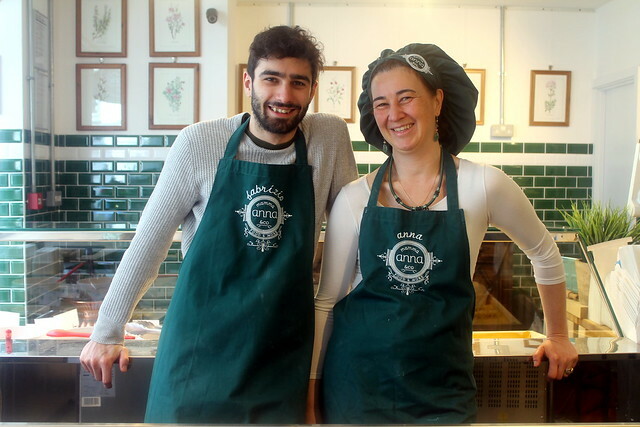 Mamma Anna is the owner and a true Italian Matriarch. 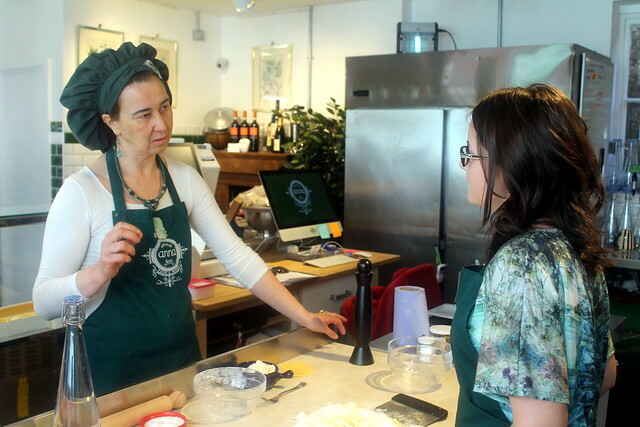 Declaring that there will never be any trans-fats, preservative laden ingredients in her kitchen as soon as we put on our aprons, I gave a slight gulp of guilt at the ‘low fat’ yogurt I’d scoffed on the way here. 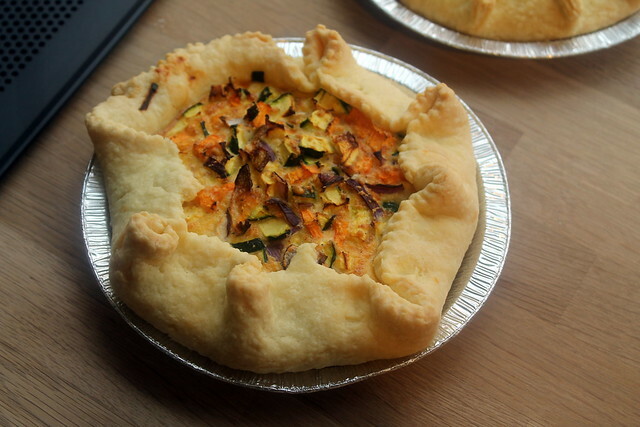 Today me and Nessa would be learning to make quiches. 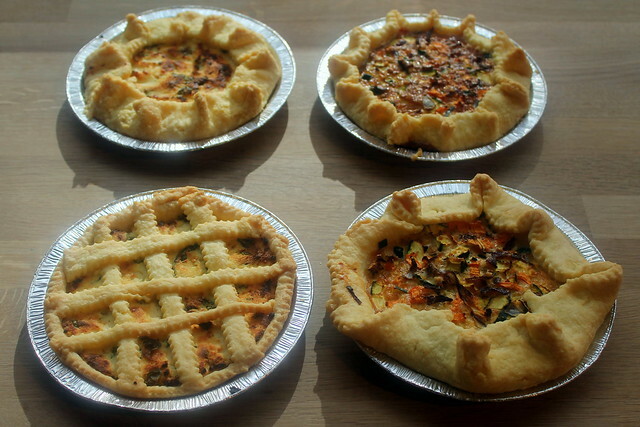 Pastry has always seemed a little daunting and to be honest, as bit of a faff. 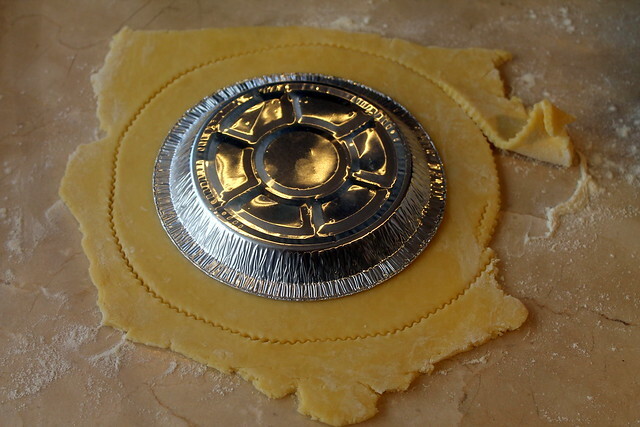 When even Mary Berry admitted to using shop bought pastry it just seems silly to make it yourself. 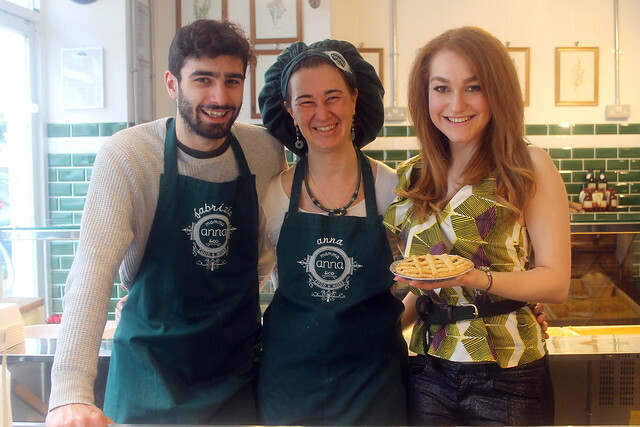 However Anna and her son, Fabrizio carefully explained, with their pastry only having 4 ingredients including water, how can we justify using pastry that has over 20 on the label. Sure enough it was extremely simple. 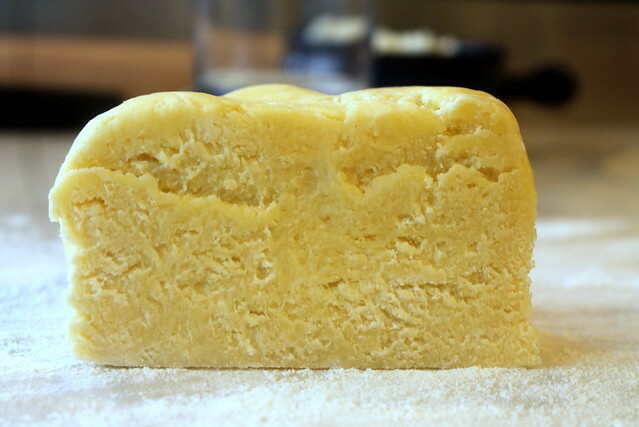 Chop up and mix together the butter and flour, then bit by bit add the water just until the dough stops being sticky. 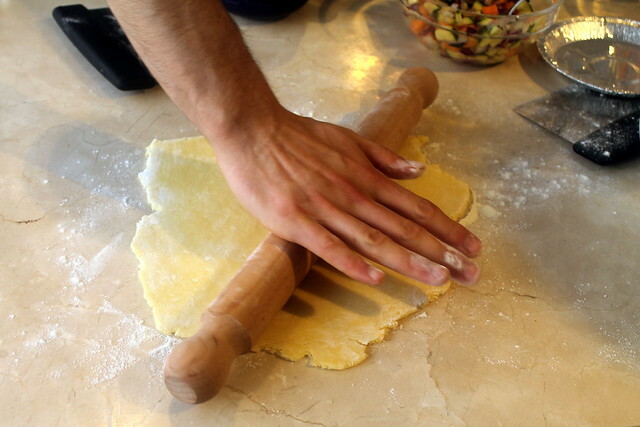 The key is to work it as little as possible to ensure a flaky bake. 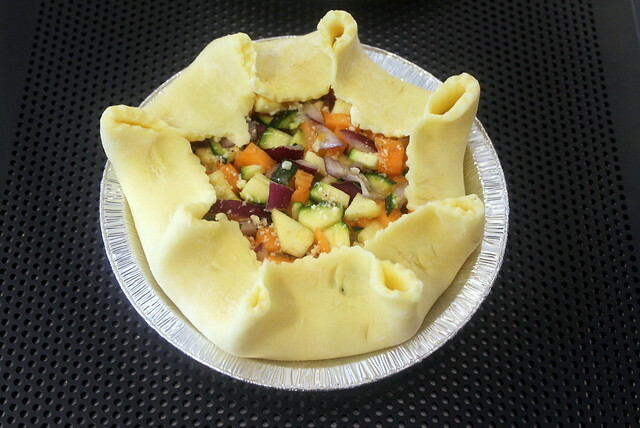 First up we were going to make a simple vegetable quiche. 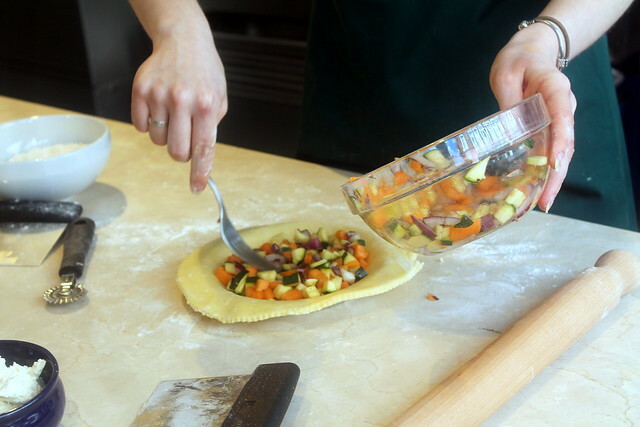 3 vegetables, one beaten egg and traditional Italian, salt, pepper and parmesan to season. 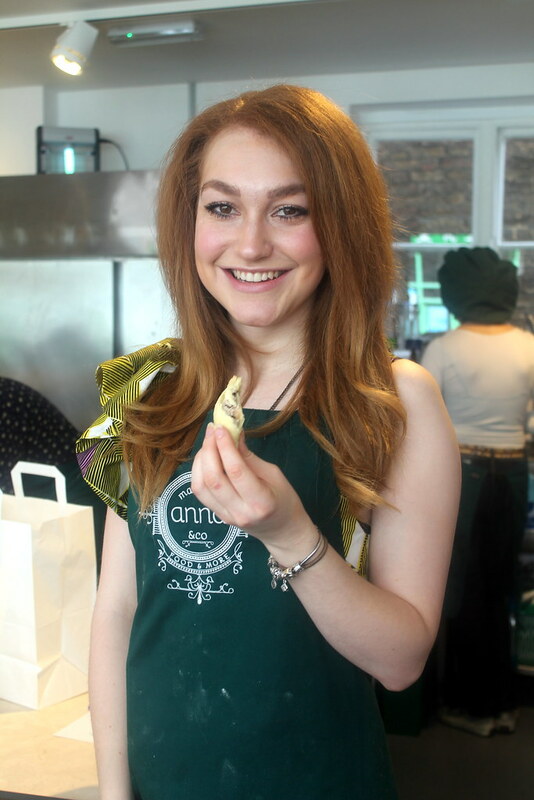 Anna explained the key is to use simple and healthy ingredients. Always wonder how those Italian women look so darn beautiful and slim? Everything in homemade and simple. There is no low fat, sugar substitute crap there. 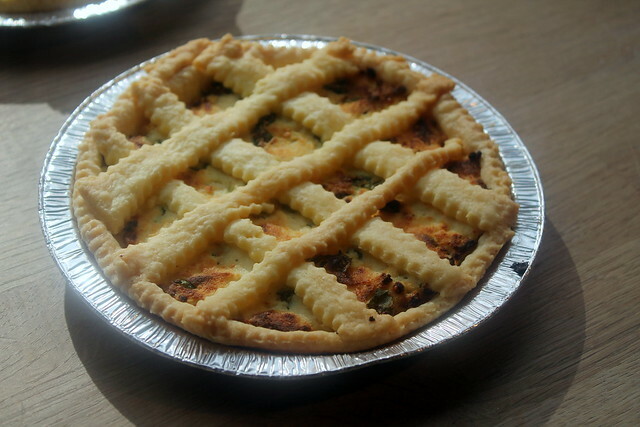 Filling the case, I decided to give my quiche a nice crimped edge. I was rather pleased with me fancy efforts. Until I saw Nessa’s! Darn it woman! 15 minutes later, out came our quiches from the oven. Oh and what a smell and sight they were! I’d say maybe 30 minutes from start to finish. However even better, they last for up to a week! 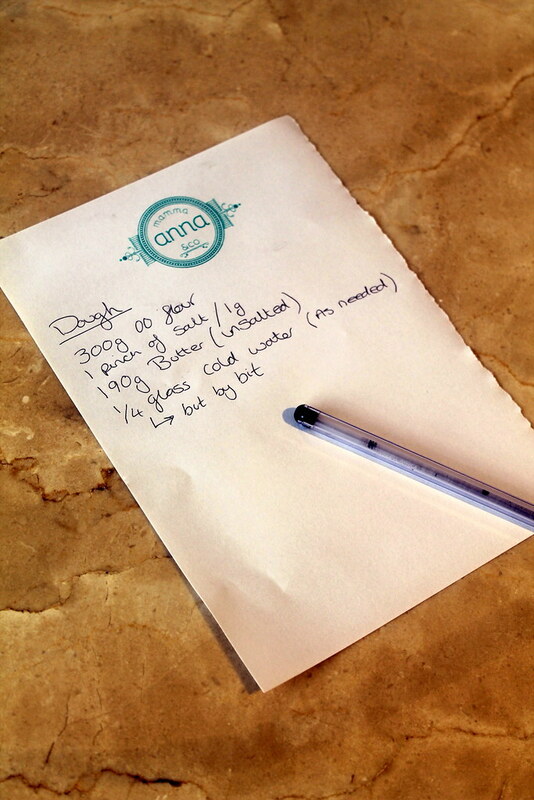 Which Anna explained she often made a batch on a Sunday and then had dinner ready for the rest of the week. I think that may even be quicker than cheese on toast! 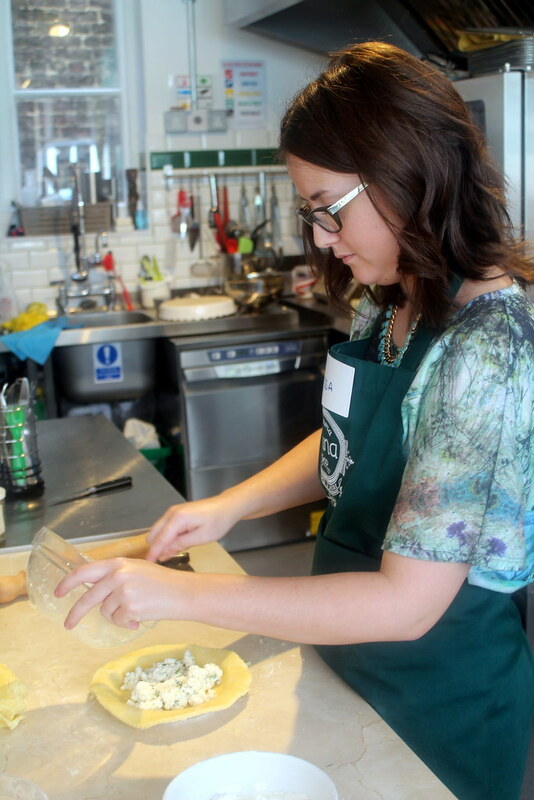 We then made a second quiche of ricotta and mint which is a nice summer recipe, perfect for eating cold out and about. 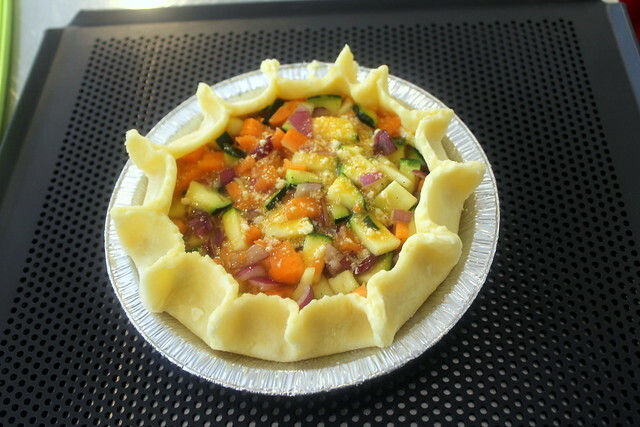 What was interesting is that while in Britain, quiche is associated with savoury pie like bakes, in Italy, they can be sweet too. 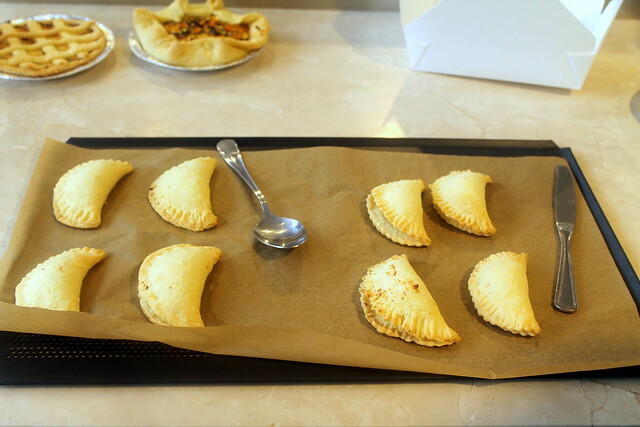 Using the same dough as before, we cut out round patties using a cookie cutter, and filled with a mixture if ricotta, chocolate, cinnamon and lemon zest. Pop in the oven for 10-15 minutes and you have the quickest treat I thin I’ve ever made. Finally we scrapped up the left over dough to make some cheese twists. 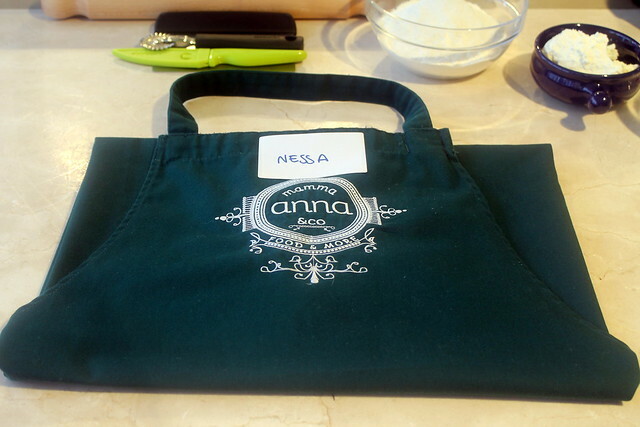 Mamma Anna is all about sustainability. 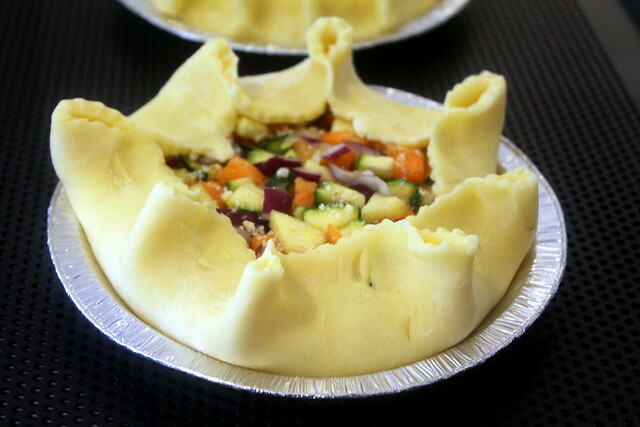 There can be no waste in the kitchen, and so any left over dough or ingredients can be turned into something. 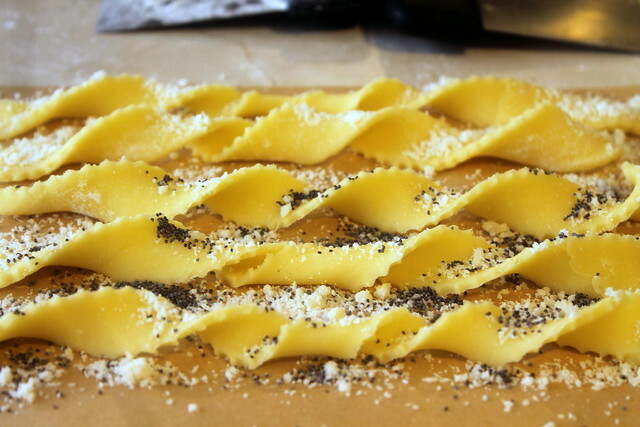 Simply twist, sprinkle with parmesan and poppy seeds and bake. At the end of the class, we had 2 quiches, 4 sweet tarts, a handful of cheese twists and abundant of enthusiasm. Of course the proof is always in the eating. That’s the face of one very satisfied blogger. Skipping back home, with a bag full of food, I felt rather proud of my accomplishments. 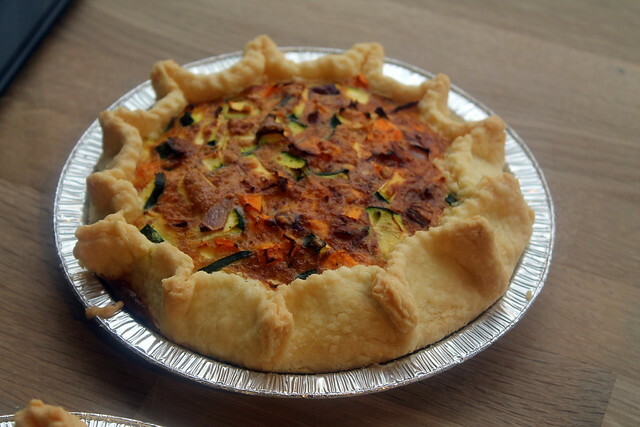 Presenting my quiche to Dan at dinner, he gave his nod of approval- "so can I expect this everynight then now?" 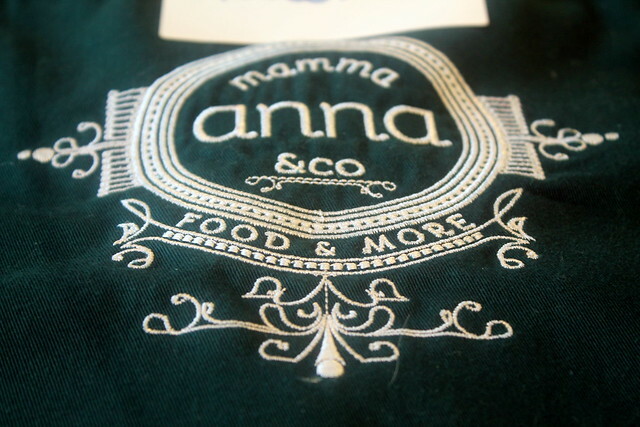 I cant recommend Mamma Anna & Co enough. 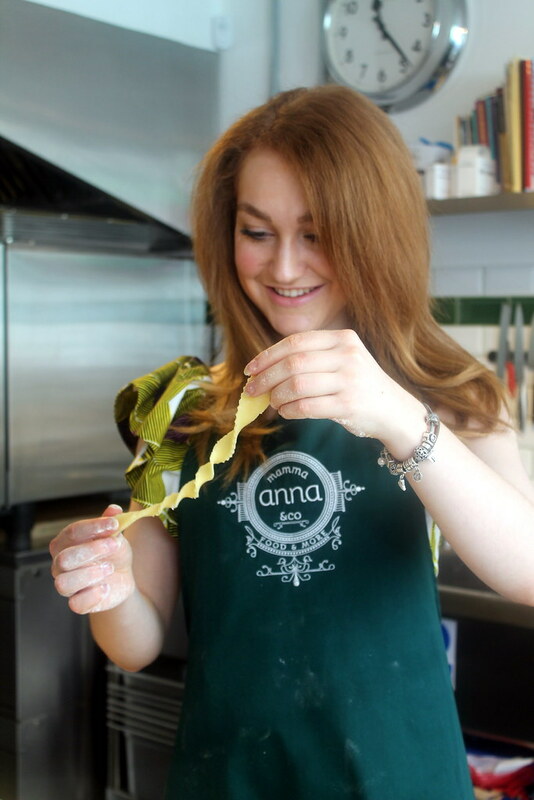 If you fancy cooking up an Italian storm, make sure you book your class place, or if you are super lazy like me, then just pop in for one Anna made earlier. 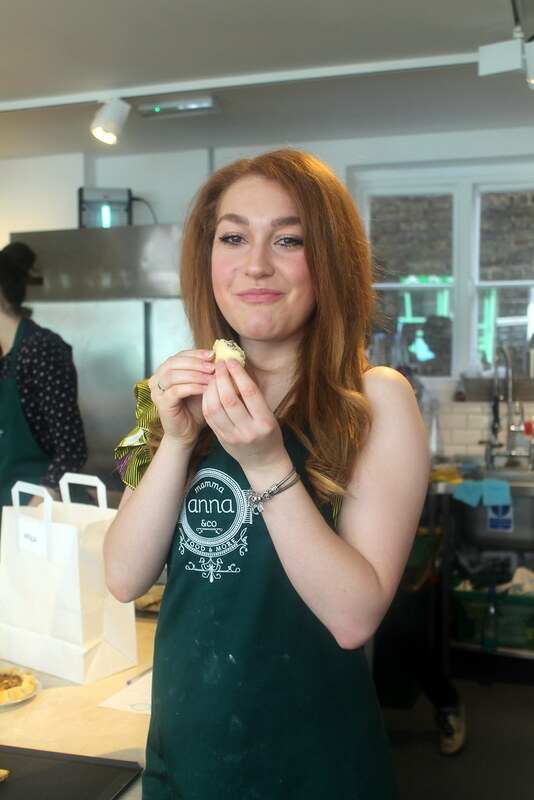 Just added Mamma Anna & Co to Line-Up so you can find some more great cookery classes. Looks like a really fun experience. Looks great! 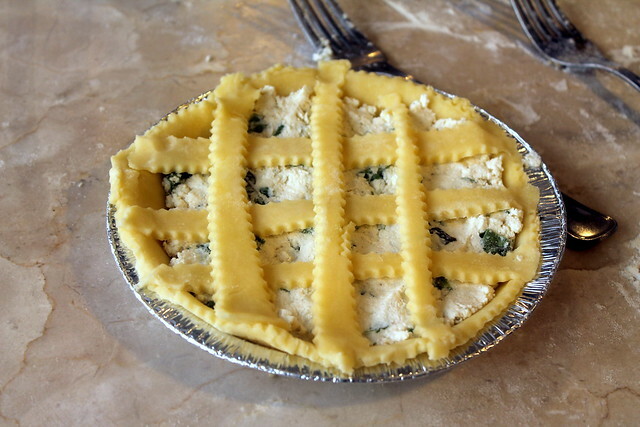 I've never attempted to make pastry. Partially because I usually can't be bothered and partially because I never usually eat it anyways! Your hair looks great btw! Did you do anything different to it? Looks wonderful!!! 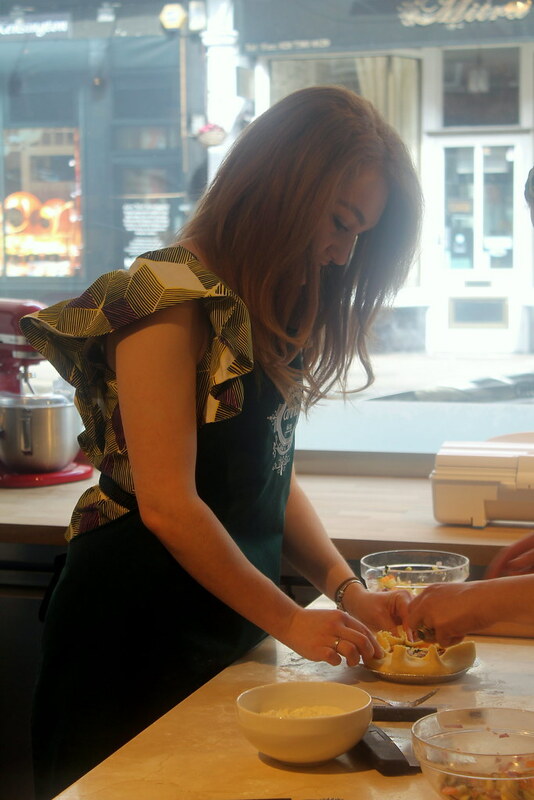 I love cookery classes and try and do them fairly often. I did a six part Italian one once it was amazing!! This sounds so authentic and lovely. I'm all for cooking from scratch. I wish I had enough room in my kitchen to make dough. I literally don't have enough room to even roll it out!! 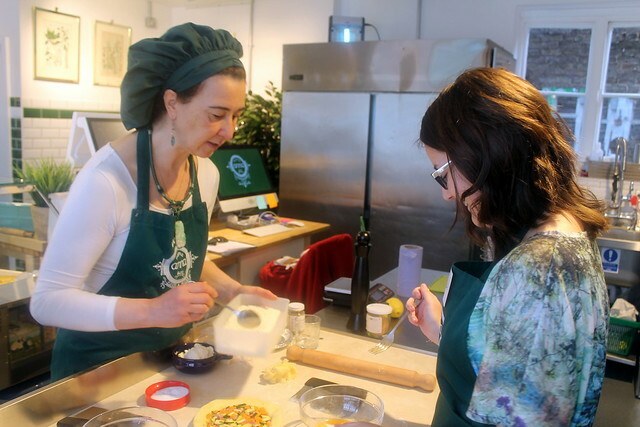 What a lovely cooking class! 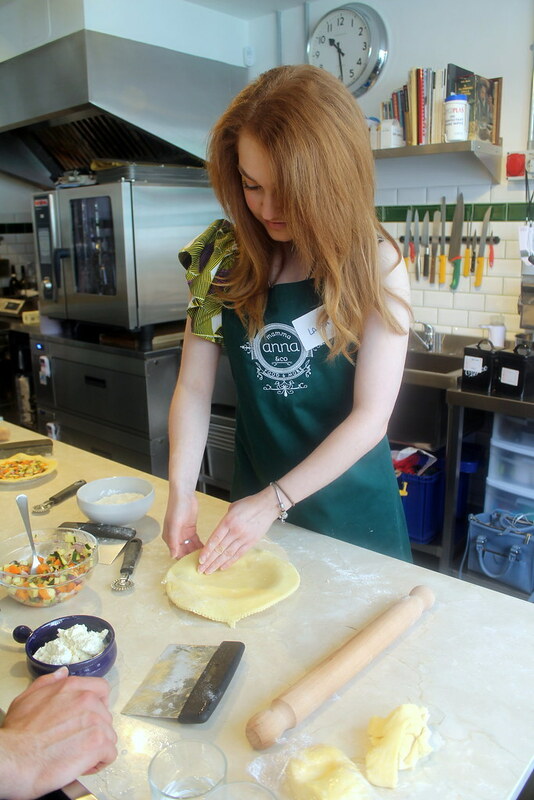 I agree quiches and pastry seem daunting so it was nice of her to show you how easy they could be! 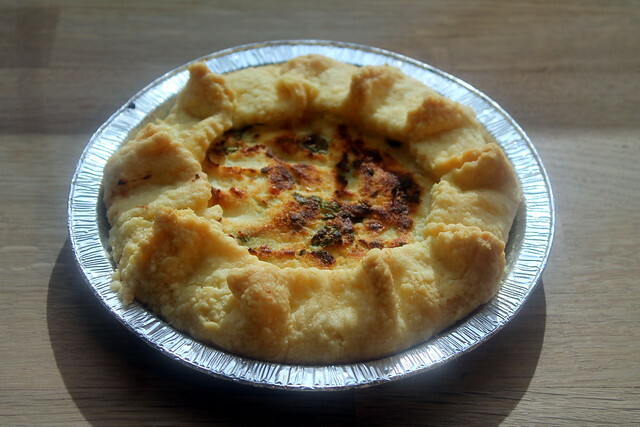 I love quiche! 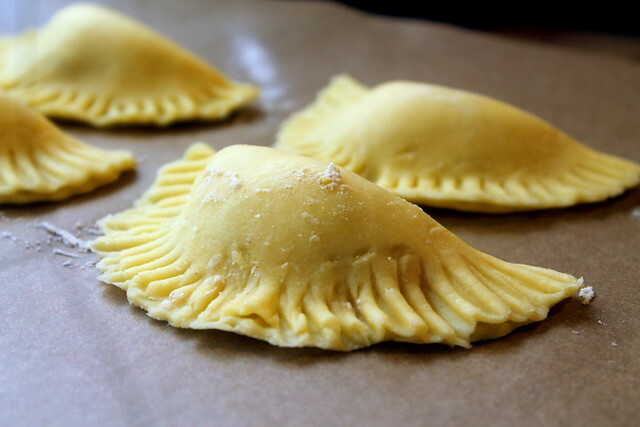 I need to learn how to make them!